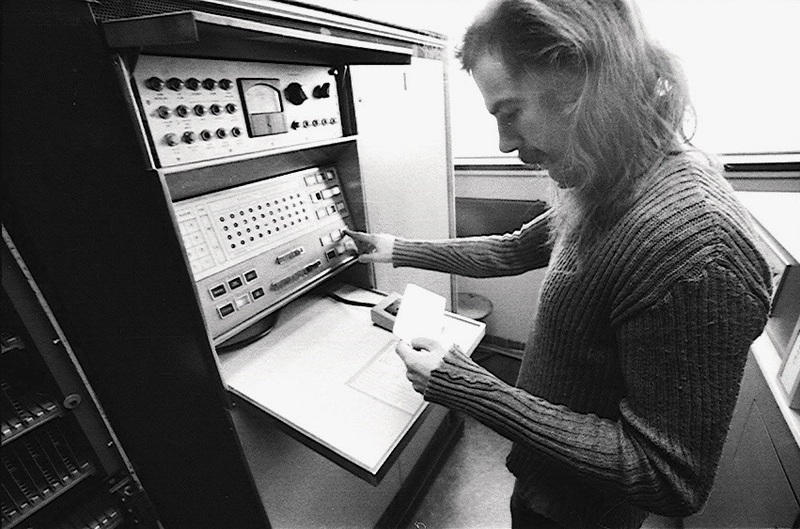 Bootstrapping the Univac Solid State Computer. Nowadays you switch on your computer and a few moments later your Window-icons appear on your screen. setting up stacks and control blocks, reading files and setting up memory and video. The USSC did not have any resident or self-starting program. 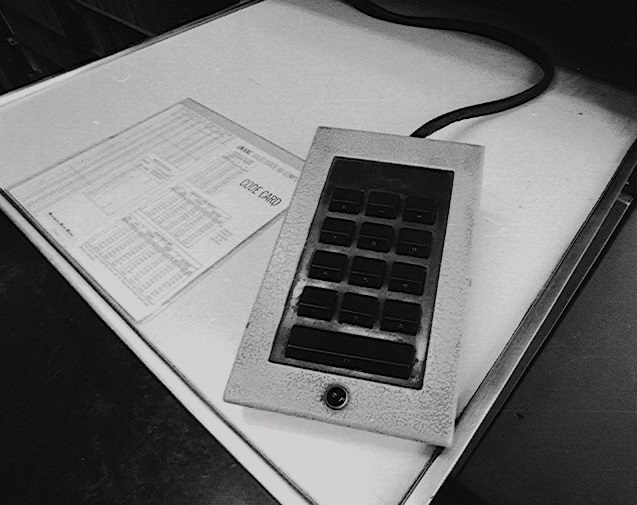 The first instructions to be executed had to be entered manually using the numerical key-pad and the display of only 42 lamps. We first had to clean the brushes of the two read-stations of the high speed card reader. The brushes collected paper-dust while reading cards and when this dust piled up, more and more reading errors would occur. Then we switched on the 50Hz to 60 Hz motor/dynamo-transducer for the main-AC-power. We switched on the AC on the Central Unit and waited around 15 minutes for the fans and the magnetic-drum to build up speed. To power the drum-motor a motor/dynamo transducer was built in the main-unit, providing AC of 325 C/S. Before switching on the computer we switched on an external fan that blew all the heat air out of the building. Then we switched on the DC. After a few minutes the control-lamps where checked and if OK, the machine was ready to run. We placed the LOAD-routine with on top of it the program-cards into the High Speed Card Readers input-bin. 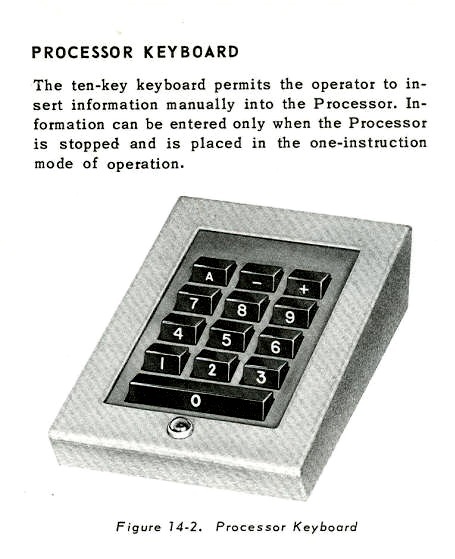 We then pressed on the operators panel 'General Clear', the register selector: 'C' and operation:'one instruction'. Using the numeric key-pad I typed: a72 0000 000K+  into the Control-register and I then selected register A and typed in: a96 4000 4001+. Then we pressed: 'Continuous' and 'run'. and the CPU fetched the next instruction from register A (rA was adressed with 000K). 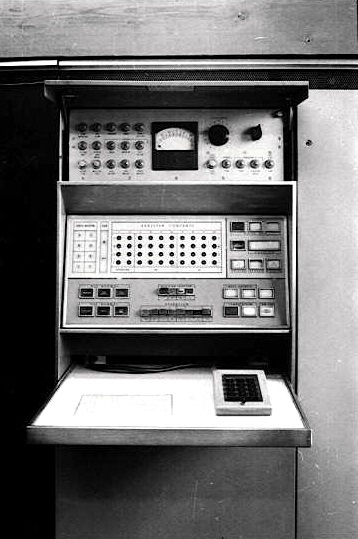 The USSC then executed instruction 96 with placing the card-image in the 4000-band. The program-execution continued then with the first (machine coded) instruction punched in first word of the card, now written to address 4001. So the first card contained eight executable instructions in machine code that were now executed. Then a two card-program (16 instructions) was read into memory and this tiny program loaded a more sophisticated loading-routine. This loading-program prepared memory and loaded the user-program, after loading the program was started automatically. A day usually started with running test-programs to check the CPU and the IO-devices. of paper that was used by a compagny and was given to us. Only for special purposes, we used new paper.